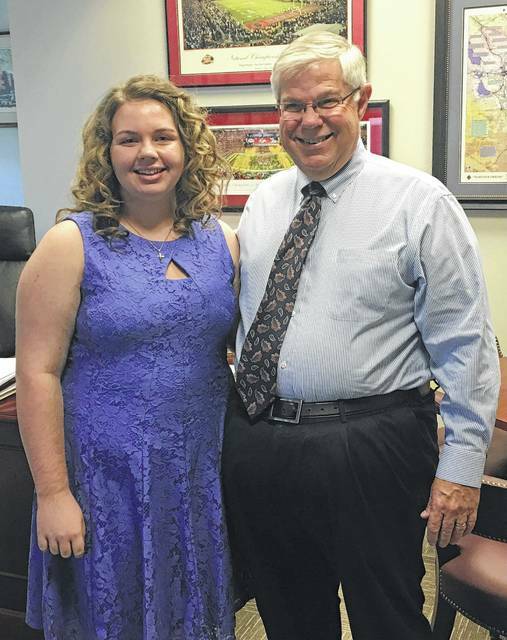 COLUMBUS—State Rep. Gary Scherer (R-Circleville) recently honored Washington Court House student, Kalila Wilson, for being named as a contest winner in the Ohio Civil Rights Commission’s (OCRC) annual Dr. Martin Luther King, Jr. Art, Writing and Multimedia Contest. Wilson, who claimed the top prize in the ninth grade writing portion of the contest, was presented with a commendation from Rep. Scherer to congratulate her on her achievement. “I was honored to be able to recognize Kalila for her tremendous work in this competition and I was pleased to be able to discuss her passion for the issues she addressed in her writing piece,” Scherer said. The theme of this year’s annual contest was “Driving Out Hate.” Students in grades 6-12 were asked to submit entries in the form of artwork, essays and multimedia presentations that represented that theme as well as the values for which Dr. Martin Luther King, Jr. devoted his life.